Whether you want to ski for one day or two weeks, as a family, with friends or solo, in Val d'Isère or Val d'Isère and Tignes, whether you are a beginner or an expert, anything's possible: pick whichever option suits you to take full advantage of your skiing holiday. Discover one of the most beatiful ski araea in the wordl with 300km of slopes! All lift pass durations are consecutive. A proof of age will be demanded to obtain any lift passes at reduced prices or free of charge. Lift passes are free of charge for children less than 5 years old and seniors of 75 years old or more. The age of the person on the first day of ski will be taken as the basis to calculate their age. Recyclable supports are offered for the purchase of all lift passes except Season Pass. Reloadable supports valid 3 for years are also available and can be purchased for 10€. A reloadable support is obligatory for all purchase of a season pass, because of the length of utilisation. 50% reduction for all disabled persons (80% or more immobility), as well as one person accompanying them if it is indispensable for them to be able to move. A proof will be demanded for the delivery of these passes. A reduction of 5€ in the altitude restaurants is offered with all purchase of a pedestrian lift pass, to be used the day of validity of the pedestrian lift pass, conditions of use are marked on the reduction ticket. 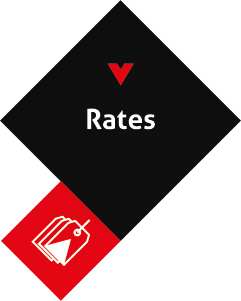 All rates are applicable throughout the season and are inclusive of all applicable taxes including the VAT at 10%. They are subject to change in case of modification of said applicable taxes, including all increase above 10% in the VAT rate. The changes will be automatically imputed to the rates exclusive of tax on all orders as of the 1st day of the said change.